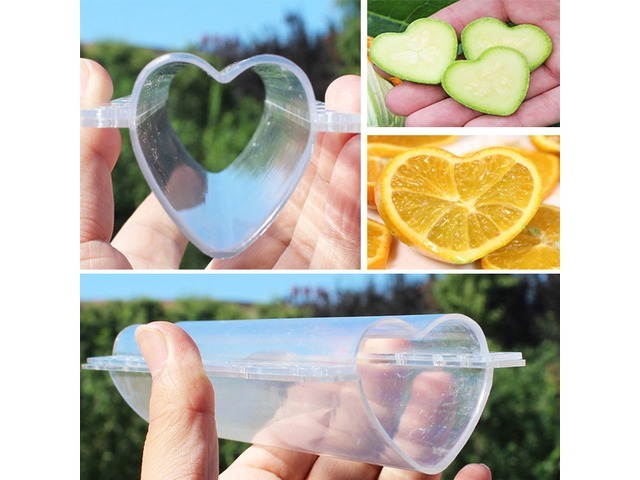 Heart-shaped Cucumber Shaping Mold Garden Vegetable Growth Forming Mould Tool The mold is used for shaping a heart-shaped cucumber that you can plant in your garden. (No special seeds required). Just place the baby cucumber into mold during mature period, and remove the mold when the cucumber reach full maturity. Specification: Material: polycarbonate Size: 20x6x4cm / 7.87x2.36x1.57" Weight: approx. 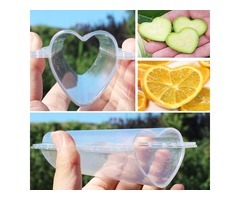 62g Color: transparent color Application: cucumber, tomato,carrot, luffa, or etc. 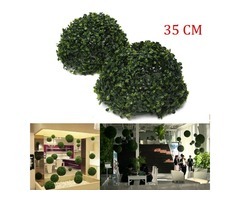 Feature: High strength, good pressure resistance, not easy to deform Can be used repeatedly for 3 to 5 years Non-toxic to humans or to fruits Package Content: 1 x Heart-shaped Mold (not include screw) FAQ - Frequently Asked Questions 1. Can this mold make the fruit into a heart-shaped? - There are too many fruit types, so we can not make sure the rate of fruit shaping. We suggest you can test two or three fruits to check whether the fruit can be shaped, and then using on a larger scale. 2. How to fix the mold? Does the package come with nut and bolt? 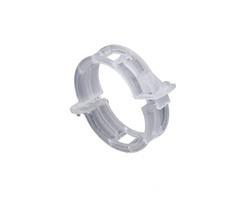 - The mold can be fixed by nuts and bolts as the below picture shown. - All the molds we sell don't come with the nuts and bolts, but you can find them in local hardware store. We hope this will not inconvenienced you. :) 3. What is the best time to place the fruit into mold? Is there anything else I should do? - In order to make the fruit into a heart-shaped, you must first start growing the fruit in the same way you would normally. Once the fruit start to show on the vine allow the fruit to grow to about the size of your closed fist. Once the fruit is the correct size you can place the fruit into the mold and use the nuts and bolts to secure the mold. You will allow the fruit to mature inside the mold. Once the fruit has taken the full shape of the mold, usually 60-80 days after planting, it will be ready to remove and eat. - Try not to open the mold until it is fully grown. You may not be able to get the mold back on if it is taken out early. Make sure the fruit is exposed to the sun and you should rotated it every week or so. This will keep the melon from getting a brown side. 4. There are some water vapor contained in the mold. Will the fruits go bad easily? - This is a normal situation. The fruit also need to breath. After placing the fruit into mould, there will be a difference in temperature between inside and outside producing water vapor. 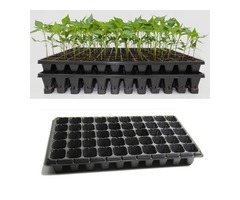 All the molds are studded with air holes, there is no need to worry that the fruit will decayed in the damp environment.